"I love it, it's nice and simple and suits our needs perfectly, so I'm hoping to use it more in the future." "Thankyou for all your help again this year - excellent service as usual." "Just to say thank you for all your help again this year with the Winter Warmer. You have been amazing! See you next year." "Thanks once again for your fantastic service, hope you have a fantastic Christmas and great New Year." "We would like to stick with you and John again for online entries and timing services. We have had others 'sniffing' around for the business, but prefer to go with the excellent service we have had from you both." "Thanks for your help. We have had a good entry again. I really value your service and will always speak highly of BookitZone to my running circle of friends." "Just thought I’d drop a quick email to say thanks for your services for our event, The Gosfield Gauntlet. Brilliant service and we will be using you again for our future events." "Thanks for all you've done for 2018." "Just wanted to say thank you for your help and super quick responses to the many alterations. Needless to say, next year's Dalby Dash 10k will be through bookitzone (if you can cope with the grief!!!)" "Might I say that now I have got the hang of your site, I love being able to download entries as and when I want. Keep on with the good work." "I have to say that that was the simplest/clearest event set up for an online booking system I have ever gone through. Much more sensible and easy to use than anything like Eventbrite or Active network!" "Thanks Phil. Thats perfect. Many thanks for the speedy reply. Excellent service :)"
"Many thanks again for all you have done for me with St Thomas 7." "Thanks again for the excellent service." "Many thanks again for all your help and nursemaiding me through, we have had several complementary comments, such a fantastic day and a record turnout. I hope you’re willing to work with us again next year and after much deliberation have decided to stay with the same weekend, so 2019 will be held on Sept 1st. " "Thanks for all your help. WOW, we have never had so many entries - the highest numbers we have had for a long time." "Thanks Phil. As always, great service!" "I've just returned from holidays to see the Dalby Dash is full! It reflects on what a great job you do on the entries and the guru John Schofield (and better half) does on the day." "Thanks so much for a brilliant website and service. All the users were impressed with the site and how easy it was to register. We hope for more online entries next year. Many thanks." "Thank you Phil - always a great service from you!!" "Many Thanks - your efficient site makes life so much easier for organisers." "We got an increase of 40% in entries this year , so will definitely be using you again next year!" "Just wanted to say thank you for your help with the BSSF on-line entries for Pembrey and Thetford. You have made our lives so much easier. Fantastic system and service." "Just to say thank you for all your help this year with entries you have been absolutely amazing!" "Thanks for that. As always, thankyou for your support. Always dealt with very well." "Thanks for your services again this year. The event went well. Same again for 2019!" "Thats fantastic. Super efficient as always!" "Great service, friendly, helpful and efficient. Fast response to any queries." "Thank you for all your hard work with the 13 Arches. It was a really successful event and the customer service our runner get from you adds to this." "Thankyou for your part in making our event a great success." "... we'll use BookitZone again once we've got sorted. The service has been very good." "I'm really happy with the service you have provided for online bookings." "Phil is a race entry guru. I use the word 'guru' because I forget how to spell 'genius'. Thankyou for your relentless hard work!" "Brilliant, thank you! This is my first time using your site but I will definitely be back year on year now." "Excellent service throughout. Will definately use BookitZone again. Thankyou." "All went very well yesterday, we had a super day. Thank you again for your help at BookitZone - invaluable!" "Many thanks for your excellent service again. The change in balance over to online entries has been amazing with only a few paper entries this year. Shows what a good service you offer! Anyway after 25 years that's my last Cheadle 4 as race director. 255 entries and 236 finishers which is up on last year. Also 58 in the fun run which was good. Nice to bow out on a high! Thanks again for all your help in promoting the event over the years." "Just a quick note to thank you for your efficient service again for this year’s event. All went well again and I note that all monies have now been paid to our account. This was my last year arranging this event due to other constraints on my time and as it stands now, I don’t know who will be arranging it next year. Once we know who it is, I shall certainly point them in your direction with regard to online event entry. Many thanks once again.​"
"A big thank you for your efforts this year. You have been a delight to deal with and I have been so impressed with your system and with John (UK timers), it all was a differnt league this year, so much more profesional. "Bring on next year. We are taking bookings already and aim to clear 1,000 - Thanks again." "Thanks for everything Phil. Yesterday went really well and the consensus is it’s been our best Bluebell yet! But that’s just the tip of the iceberg. It’s the months of preparation by a core team behind the scenes that delivered a great day for all the runners, volunteers and spectators. One very important member of that core team is you! Seriously, your attention to detail, assistance and going beyond the call of duty have not gone unnoticed. For that I’d like to personally and on behalf of Stainland Lions RC thank you very much. "Thanks Phil - The power of online sales and social media hey! I have really enjoyed using your system. I'll be back. No doubt." "Thank you Bookitzone. The Ben Campbell race went without a hitch both electronically thanks to you, and physically. A Nice amount of money raised, looking forward to working with you guys again next year." "Our success this year is mainly due to the power of Facebook, but partly down to your emails to past competitors - thank you. As soon as our event went live I began to receive online entries. We haven’t had to post a single flyer under any car windscreen wipes which is nice. You and your software have played a massive part in our success. Not to mention your prompt replies to my many emails!" "I would certainly recommend BookitZone as an online payment site which is also now much more competitive than the Runner’s World/Eventbrite solution." "Can I thank you again on behalf of the Club for all your assistance in assisting with the online bookings for our race. The day was a tremendous success and we were complimented many times on how well organised the Race is - in no small measure due to the fact that booking and registration is effortless." "First of all ,on behalf of the council, I'd like to thank you and your team for your professional service and support during our online entry process. The feedback we have had from athletes has been very positive and the fact that they can amend entries themselves has also been warmly received. Secondly, I have recommended you to one of our athletes who was asking about your system. I have given you a glowing reference and I am certain that she will be in touch. Thanks once again." "[Its been] definitely worth giving BookitZone a go. Will definitely consider using BookitZone again next year." "Thanks Phil. Perfection as usual." "Thanks Phil. You still amaze me at how quick you are!" "[Its the] first time we've used this system but will continue to going forward. The portal has been great for us, have had no queries/complaints from runners struggling to enter. Excellent, many thanks, the system has been superb." "Thanks for your usual efficiency Phil :-)"
"I’d like to say thanks for all the help and quick replies while I’ve been dealing my first event. Its been great and I’m looking forward to working with you and BookitZone in the future especially for the CL 2017 event - which I'll be setting up again soon. " "Many thanks to yourself and BookitZone for hosting the entries for our race again. All 350 entries for the senior race went in 4 days: but the online system has worked well, no-one has said they had any problems at all." "It was good to talk again last week on the subject of the RAF Shawbury Centenary 10k, especially considering your extremely supportive responses to my enquiries. Encouragingly, the existing number of paid-up participants is already 106, in just over one month and without any widespread advertising, so we are extremely confident of reaching our lower target of 500 and increasingly hopeful of our planned target of 750. Sincere thanks again for your very generous support." "I am delighted you can do our Black Knight race online entries for us. As a race organiser and runner, I have been aware of BookitZone for a long time, it's an excellent service I highly recommend that keeps you up to date with entrants daily and it also eases greatly the burden of postal entries put on all race organisers." "We've discussed the results of the first race with on line entries and I'm pleased to say we have had absolutely no negative feedback! Therefore, I'm also pleased to say that we're planning to use BookitZone for our next race." "Think this is a bumper month... Nice way to start the year though! No complaints with the system, its easy to use." "Thanks very much and for all your support. Hopefully the Mad Hatters race will also be a success!" "Thanks for all your help over the last few weeks..."
"Just a quick email to say thanks for your great service in the 2016 Dalby Dash 10k. I have just submitted my entry on your system for the 2017 Dalby Dash." "...to be honest, I didn't expect this level of service! Once again, thanks for your help." "Thank you for your help throughout the entry period. It has been great to have your system look after the Dalby Dash entries." "I think your booking site is great... I want to thank you for being so helpful when you helped me set up last years bookings." "Thanks for supporting our trail race - the process for on-line booking and payment was very efficient." "Fantastic service thank you so much." "Just to give you some feedback on your service; simply to say "excellent". And thankyou - I will be using you again." "Many thanks again for your excellent service. Numbers in the main race were well up on last year, which was pleasing. Those in the fun run were the highest for 19 years! We were obviously delighted by that. What more can I say?" "The race was a success and the method of entering via BookitZone was great and so simple to use. Thanks again for providing a great service." "This year's event was another great success. Another record turnout of runners. (84% via BookitZone). Many thanks for your services once again. Very efficient and rest assured I'll be cloning the event for use next year." "Just a quick mail on the site and general feedback. Big thank you for taking the time to go through the options and set up with me much appreciated. I am very impressed with the detail on it and after checking costs etc versus our current supplier [there is] not that much of a difference, considering what you are getting for it. First entry now in, which is fab, and that has been transferred over. Will get my head around things for next year but would be looking to move every thing over to yourself for 2017." "...thanks for your excellent service - the mind boggles at the thought of having to enter all our entries if they had arrived through the post !!!!" ...To be honest with you I wouldn't consider using anyone else, you're so helpful." "Just want to say a big thanks for the help & support given for the race!!" "Online entries go from strength to strength and accounted for two thirds of all entries! Will contact you in the autumn when everything is confirmed to set up the account for next year's race. Again many thanks for the invaluable service." "Thank you for all your help this year for the Winter Warmer you have been absolutely fantastic, nothing was ever too much trouble and you got back to me so quickly whenever I needed something doing or had a question." "You Superstar, thank you very much Phil. Once again you never fail to disappoint, great service my friend." "50 odd entries already – must be something to do with your race open/reminder emails. Brill." "We have now surpassed last year's number of pre-entries – still with 5 days to go. Thanks @BookitZone for a first class entry platform!" "Thanks Phil. As efficient as ever!" "I'd like to thank you for a highly professional job that you have done again for us this year ensuring we had another successful event. The use of your services and in co with John Schofield results makes the job of handling the entrants and results a pleasure instead of a headache. With your attention to detail and availability to answer any question to sort out any problems that arise is second to none and really appreciated." "We are delighted with @BookitZone who are taking our entries this year – very professional." "Many Thanks for your help and support for our event." "Thats great Phil, Thanks for your speedy response." "Many thanks for your prompt response, always appreciated." "Thanks Phil, I didn't know you'd already sent an e-mail in March, as I hadn't run it last year! (Surprisingly! ), all in & part of your great service, very grateful." "Thanks for providing a top service once again." "Thanks for your efforts again this year, the race went very well and was much enjoyed." "Thanks for very prompt payment of the invoice for Bingley Show. The service was excellent all the way through. We'll be back again next year and recommending you." "We are set up for James Herriot Country Trail Run tomorrow with 227 pre entered so hopefully 300+ with on the day entries. Anyway thought you would be interested to hear 205 entered on line – amazing really. The growth for runners is phenomenal." "I wanted to use an online entry service and was really happy with the service that BookitZone provided especially as it was free to set up the page. Phil was really helpful when setting up the website for me and it’s easy to use, update and keep track of your entrants. Using BookitZone has made the entry process so much easier and more convenient for both me and the entrants and it has enabled me to open up the event to a wider audience but still keep a limit in place. " "Once again an excellent service. Thank you so much for your help setting up information for our race. I will be back next year!" "Thank you for an easy to use facility and amazing customer service always on hand by phone." "Thanks for your prompt settlement of this invoice. Very efficient. Those on the Feast & Fayre committee who had doubts about online entry have been won over. I’d just like to say that your service has been excellent and that the system worked perfectly in greatly assisting me with my admin and vastly reducing the amount of cash and cheques we have to handle." "The fact that 163 out of 200 entries entered via Bookitzone says it all regarding what competitors want. The event itself was a great success with a record turnout. Rest assured I shall definitely be using Bookitzone again for next year’s event on June 18th 2016." "Thanks Phil – that's what you call service!" "Loads of entries via your site this year – you are obviously becoming the "go to" booking site – well done." "Fantastic response to Bluebell through BookitZone and it filled again. I ended up having a 'waiting list' and re offered quite a few places!" "Excellent, thanks Phil. Been very impressed with both the number of entries and with how smoothly it's gone." "Really pleased to see the growth in online entries! Thanks for the superb service." "We are live, it was scary pressing that button! Thankyou so much for your help, I know I've been a huge pain x ;)"
"Just to say thank you very much for all your help over the past few weeks with the Winter Warmer. It has been my first year on entries and your help has been very much appreciated." "We fully intend to use your service for next year. Thanks again for your help and support…." "Thanks for helping me out earlier today… [It was] easy to update and the website looks good, you've made quite a lot of changes. Hope business going well…"
"Thanks for a good and efficient service…"
"Thanks for the easy process you provided for the runners who entered my event this weekend (Derwent Water 10). I'll be using using you next year!…"
"Once again many thanks for all that BOOKITZONE has done to help promote our race. We'll be with you again in 2015… we do like BookitZone. Here's to next year…"
"Thanks for a perfect service this year…"
"I really like the BookItZone site, it's so easy to get all of the information you need and so quick…"
"Thanks for taking our online entries. We had record numbers this year and your system made it easy to keep on top of numbers." "The Escrick 10k went very well last Sunday and the BookItZone system was excellent, feel free to use us as a reference if you wish…"
"Online entries are working [for us] again thanks to @BookitZone…"
"The big advantage of this system (aside from Phil's helpfulness!) is that we can create, control and amend all our information at any point in the process." "…thanks again for your provision of a great on-line facility." "For the first time ever we had more online pre-entries than postal entries. You are obviously offering a really good service that runners appreciate. Thanks from everyone at Cheadle Running Club for your help in promoting the event in which we had the 3rd best field over the past 17 years. Will contact you in the autumn about next years races." "Your online entry service always helps to get races online quickly and fast and it's much appreciated." "I have personally entered many events through BookitZone and have always found it very efficient as do many of my fellow runners, many of whom prefer online entry. This is my first foray into event organising… …we will definitely be using your service for next year’s Darrington 5 Mile (June 27th 2015) and I look forward to setting it all up on your site." "Just wanted to say thanks for all your help with setting up my event this year. It went really well and I’m so pleased to have raised over £700 for charity! I’ve received my payment and was really happy with how easy and quick it was to receive this! I will definitely use your website again next year." "Thanks for BookitZone's help to administer The Bolton Junior Aquathlon on 8th June. It all went smoothly and was easy to use. I am going to make all entries on-line only next year. Will contact you once we book next year's event in." "Big thanks to @BookitZone what a great job they've done once again, fully booked and still a month to go"
"Thanks for the clarification, that's great! The new website does look great by the way, very easy to use, well done!" "Thanks once again for handling the online entries so efficiently. We had a good day despite the weather…"
"…thanks very much Phil, professional job as ever." "…By the way, it’s been really easy using the BookitZone system!!" "Thank you very much Phil, by far the fastest service and reply I have ever received. Much appreciated!" "Nice one - thanks very much for the prompt reply." "Fantastically quick response and service, thanks very much." "Many Thanks - Higly efficient as always." "Thanks Phil, I wasn't expecting a reply so quickly. Great service - thank you!" "Can I say how much I rate your ‘service’ - its absolutely top draw." "Good Evening Phil, Thank you so much for your swift response regarding my entry for Melmerby 10K. Great customer service once again." "Thanks, that's brilliant service, I really appreciate it." "Thanks Phil - 21:56pm - you work late!" "Thank you very much for sorting that out especially given the time of year. Many thanks and best wishes for the rest of the feative season." "Thank you for your very prompt response and l look forward to making many more bookings in 2017." "Love @BookitZone feature where you can get directions to a race using googlemaps #ukrunchat"
"Many thanks for the super quick response x." "Many thanks for sorting it so quickly, I'm so impressed with bookitzone you're always so helpful." "Wow. Thanks for speedy reply and looking into it. Impressed." "Thank you for your prompt response Phil and the reassuring message. Service indeed!" "Thanks so much for fixing this for me so quickly and without hassle especially as it was my fault! Excellent service indeed." "Brilliant that's great. Thank you very much for your help you have been very helpful." "Thats brilliant! Thanks for your speedy response." "Thanks for all of your trouble, both emailing and ringing - much appreciated." "Thank you for following up on this! 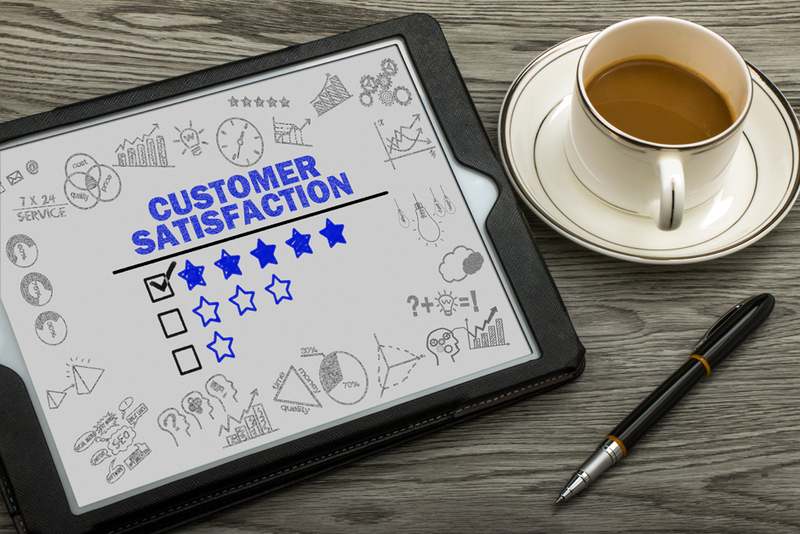 Most companies wouldn't – good customer experience ." "Many thanks for your prompt response and action – very impressive." "BookitZone always offer a great service when I have used it." "Thank you Phil for lightning quick refund." "Thank you both very much for all your help. I appreciate you are both very busy so I am grateful for the time you have taken to do this. Mind you at about 9 miles I will probably be cursing both of you." "Thanks for quick reply very impressed as it's bank holiday." "Thank you for your quick response, an excellent service by BookitZone as usual." "Hi Phil, I'm impressed to get a reply on a Sunday! Thanks for your message…"
"Many Thanks for your prompt action. Much appreciated…"
"Fantastic thanks for quick response….."
"Super efficient! Thanks very much for the quick turnaround. …." "…Many thanks for your swift response, much appreciated." "…Thank you very much for your quick reply and refund, very impressed!" "…I look forward to another event and booking with you. Your customer service is first class." "Thanks for providing such a good service for our events." "Thanks for the good work on this again." "Thanks, looks like we are going to have to turn people away again!" "I’ve been following our entries on your system and certainly things seem to be progressing faster than last year’s event." "A great effort all round"
"Thanks again for all your help with the online entries. We had a great race with record numbers so obviously this is the way to go." "Thanks, the lists and breakdowns are very comprehensive. Much appreciate your support." "The online entries are working well." "Many thanks. A good number of online entries. Not many postal these days." "Thanks, this will save a lot of re-keying." "Thanks for your support with this race, online entries amounted to 30% of all entries which is great!" "You do us organisers a great service! Thanks for everything, it really is appreciated!" "Thanks for a very professional job. I look forward to using you again next year." "We will be using you next year we are very impressed by your service." "Just a quick note to say thank you and well done for providing such an efficient and easy method for entering races such as this." "I've (sadly!) enjoyed being able to see the activity as more and more folders crop up. It's been a slow start but has come on well these last couple of weeks. Thanks for this service, it's fab." "I am just emailing to say a big thank you for your help with the online entries once again and I am sure you will agree it was a positive result. (I have received your money with thanks) The event has already reached target and raised an amazing £33k, with money still coming in! Look forward to working with you next year!." "The race was a great success as always and I think that the online entry system worked extremely well. Many thanks for your help and support." "That's brilliant. I'm impressed with the fast service!! This is my first time organising a race, wish I'd found you a while ago…. … I was really impressed with your service. I'll pass on your detail to my club as they never offer online entry which I think costs them a lot of entries." "Thanks for providing this excellent service." "Thanks once again for the excellent service . I did not expect to get as many on-line entries as that." "I was impressed with your approach and will certainly recommend your service to others." "… it's good to know that you are on the ball. I'll look forward to using you again with confidence." "… I have to say that is fantastic and a massive thank you for providing this service." "… On behalf of myself and everyone at Nidd Valley a big thank you for all your help and input in making this year's race another big success. The entry service you provide is very efficient and frees us up to focus on other areas of race organisation. We have been given a very good race report and very positive feedback from runners and clubs who took part. Keep up the good work and we look forward to working with you again." "… Just to say many thanks for your help in promoting and doing on-line entries. We reached our race limit.. Thanks for doing a very efficient service." "… Service is excellent. Quick set up, flexible. Highly recommended." "… Thanks for such great service. We had a really successful race at the weekend and the majority of our runners enter through your website, so many thanks." "… Many thanks again for a great service. Entries from your company are up on last year!" "… Thanks, You do a great service!" "… Best wishes (and thanks for helpful service as ever)"
"… This is my last race as Race Secretary so I would like to personally thank you for the excellent service and all your support over the past 5 years."